When police went to a disturbance in a Portadown street they saw a drunken man being restrained by door staff, Craigavon Magistrates Court heard last Friday. David Hamill (22), Parkside, Portadown, was fined £250 for disorderly behaviour on October 13. He appeared in court and pleaded guilty himself to the charge. 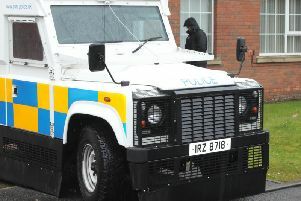 A prosecutor said that at 12.40am police went to a disturbance outside licensed premises in West Street in Portadown. He had to be handcuffed by police and he continued to swear in their presence. When interviewed Hamill said he could remember anything due to his intoxication.